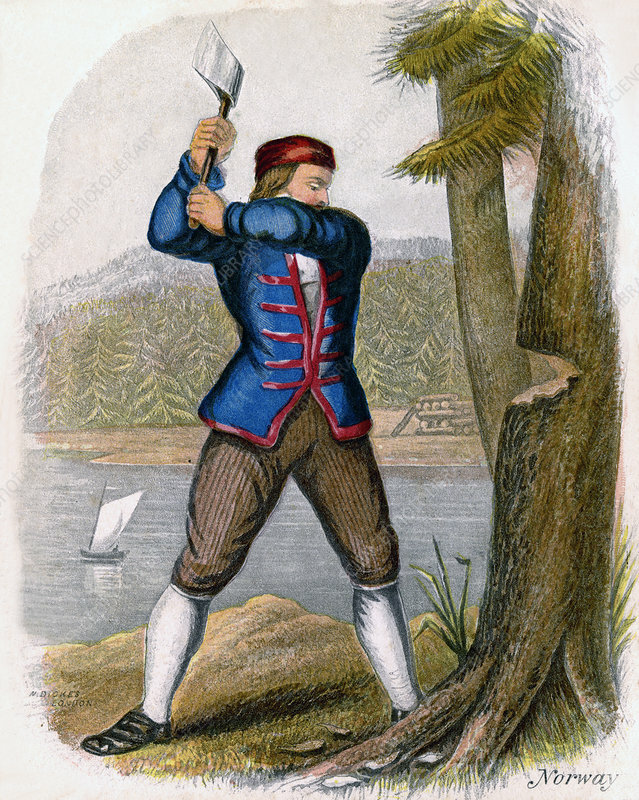 Norwegian Woodcutter', 1809. The farmers in Norway are said to be the happiest people in the world, they are not common farmers and the land is their own. They have no rich nobles above them as in Russia. Artist: W Dickes.